We will be present at the conhIT conference. 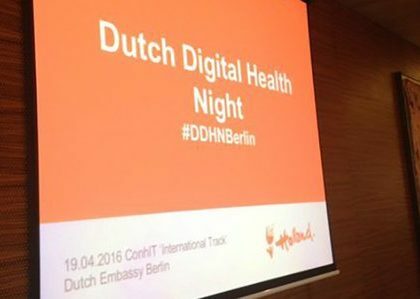 Lets meet at the match making event, or at the Dutch Health Night at the Dutch embassy in Berlin. 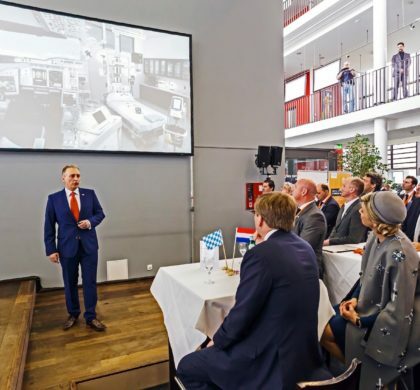 Very proud to have given there opportunity to pitch for King Willem Alexander and Queen Maxima, as part of a joint visit to Southern Germany. We will be in Munchen and Erlangen from April 12 to 14th as part of Dutch economic mission to Southern Germany, for more info see here. In search of a partner and or launching customer for Germany.